The firm is led by James Sotos, who possesses over twenty-five years of experience representing public and private sector clients in federal and state litigation at the trial and appellate levels. During that time, Jim has distinguished himself as one of a handful of attorneys who has argued two cases in the United States Supreme Court, and he has achieved an enviable rate of success in the arena of Illinois governmental litigation. 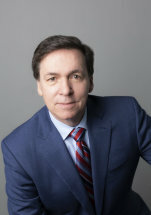 Jim enjoys Lexis-Nexis, Martindale-Hubbell's preeminent AV peer review rating and has been recognized both as an "Illinois Super Lawyer" by "Law and Politics" and the publishers of Chicago Magazine and as an Illinois Leading Lawyer by the Law Bulletin Publishing Company. Jim also lectures and publishes frequently on government liability and ethics and for over 20 years, authored the weekly newspaper column "In Federal Courts", for the Chicago Daily Law Bulletin.